Snapchat AUNZ general manager Kathryn Carter says: "Snap is thrilled to partner with AdNews to launch the reinvigorated Agency of the Year Awards." The Leader's Long Lunch will take place from 2pm onwards on 5 April, where 18 awards will be issued. The exhibition of the finalists' work will run throughout lunch and into the evening, where the last four awards will be given out: Agency of the Year, Employer of the Year, Emerging Leader of the Year and Hall of Fame. Tickets for the evening event are priced at $139.00, in a bid to make the evening party as inclusive as possible. Six brands, including Snapchat, will set the party alight with a series of special activations. It promises to be an adland party to end all parties. As part of the agreement secured with our presenting partner, Snapchat, the brand will be given the opportunity to host the exhibition of the finalists' work in a venue of their choosing for three months, meaning that your year-long efforts will be given the chance to shine for even longer. To find out more about AdNews Agency of the Year Awards see here. ENTRY KIT is available here. Sponsorship enquires should be directed to Amanda Wilson, AdNews Event BDM. Amanda is still open to hearing from those brands who wish to get involved and engage our audience with special activations. 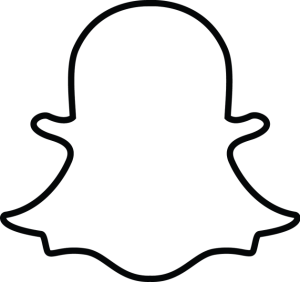 AdNews is delighted to announce that Snapchat will be our presenting partner for next year's reinvigorated Agency of the Year Awards, celebrating the best work and agencies of 2018. The new three format show: leader's long lunch, exhibition and party will take place on 5 April 2019 at Centennial Hall, Town Hall. Slashed from 31 to 22, this year sees far fewer categories in a bid to keep the awards fresh and fast-paced, firmly distancing AdNews Agency of the Year Awards from the deluge of traditional-style, budget-grabbing awards shows seen elsewhere.